Out with the old, and in with the new... potatoes, that is. New potatoes are sold all year long, but true new potatoes -- baby versions of the full-grown ones we roast and bake all winter -- are just becoming available now. 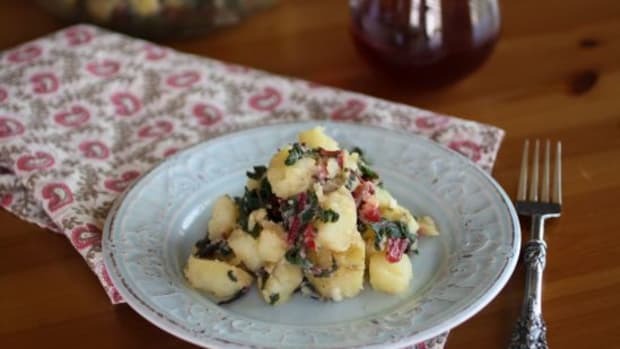 Try these thin-skinned gems in a new take on an old classic: New Potato Salad! But First... What Are New Potatoes? 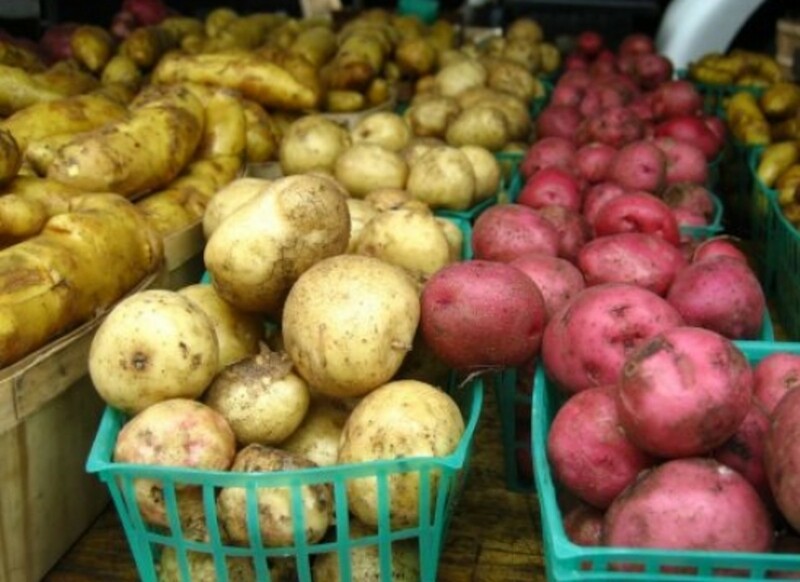 Contrary to popular belief, new potatoes aren&apos;t a type of potato at all. 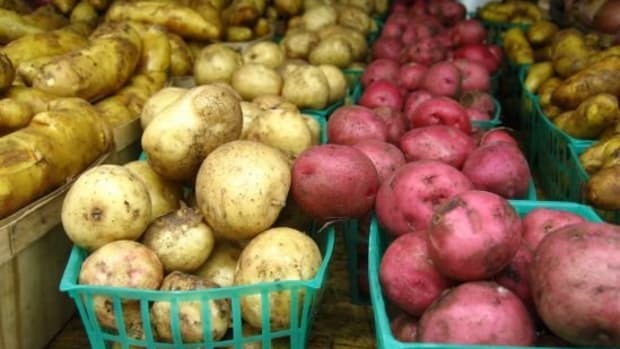 New potatoes are, quite simply, "new" or young versions of other kinds of potatoes... which means that most of your favorite local varieties should be available as new potatoes. 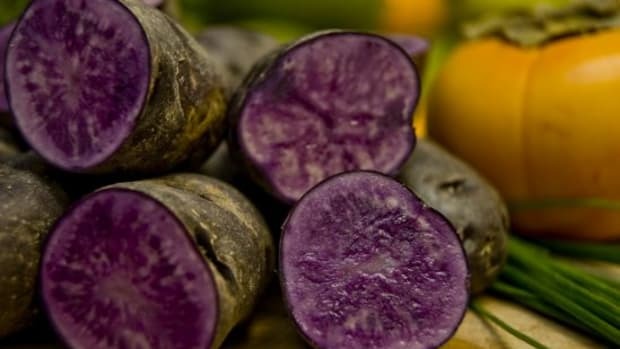 You&apos;ll often find fingerling new potatoes, but you can also find small purple potatoes, mini Yukon golds or mini red-skinned potatoes. Ask your farmers what they grow, and taste a few varieties. 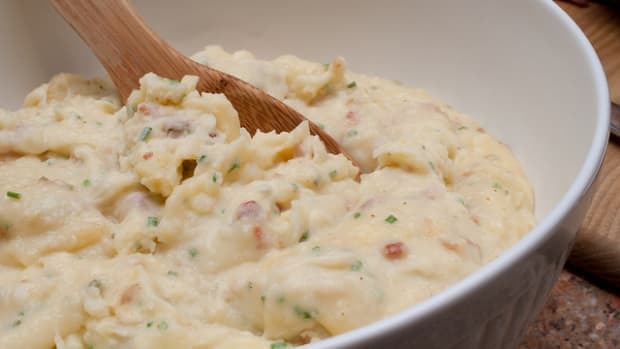 Potato salad is a classic; this one, however, foregoes the mayonnaisey dressing for something that allows the flavors of the organic new potatoes you choose to shine through. 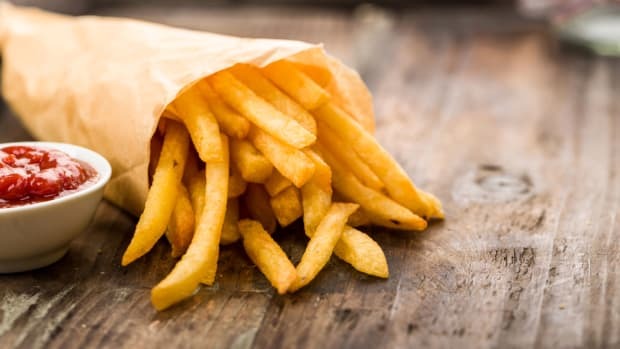 You can use any variety of new potato or a combination; cooking times may vary, so be sure to pierce a potato with a fork to make sure it&apos;s tender and fully cooked. 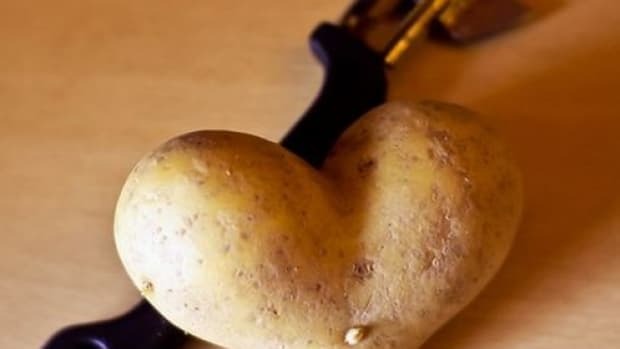 Place your washed new potatoes in a large pot of cold water. Bring to a simmer and add the salt. Cook about 20 minutes from the time the water comes to a simmer, or until a fork inserted into the potato goes in easily. 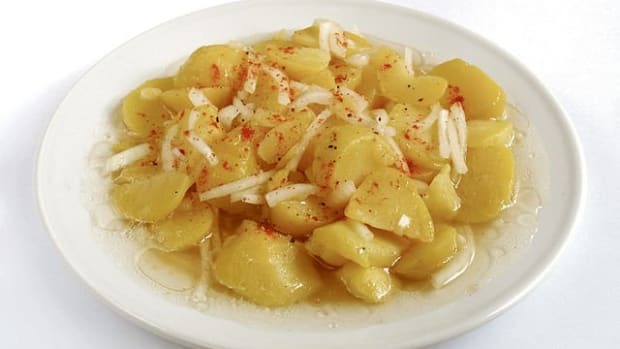 Drain the potatoes and toss immediately with the olive oil. Allow to marinate at room temperature. Dice the bacon and place in a cold skillet. Cover with about a half-inch of water and slowly heat over a medium flame. Cook, stirring occasionally, about 20 minutes, until the bacon is very crispy and has rendered its fat. Meanwhile, prepare your scallions: remove the roots at the bottom and about two inches from the green tops. Separate the green from the white and pale green. Chop the green tops finely and set aside. Finely chop the white and pale green portion. When the bacon has nearly finished cooking, add the white and light green onions and toss 2 minutes, just until lightly cooked. Strain off any excess fat from the bacon that may remain and toss the bacon with the potatoes. Sprinkle the green onion tops over the salad and serve warm.